The Lagos Fashion Fair is the largest International Ready-to-Wear Garments, Accessories and Footwear Fair in Nigeria. The event held from the 17-19th October at the Eko Convention Centre, Eko Hotel and Suites, in Victoria Island. The fair included Fashion shows by the best of local and international designers; Exhibitions to showcase the finest fashion apparels and accessories; Masterclass facilitated by top industry experts; Celebrity appearances by Africa’s finest and talented stars; Music performances by popular artistes; African Nail competition, Raffle draws and the Celebration of Icons gala. 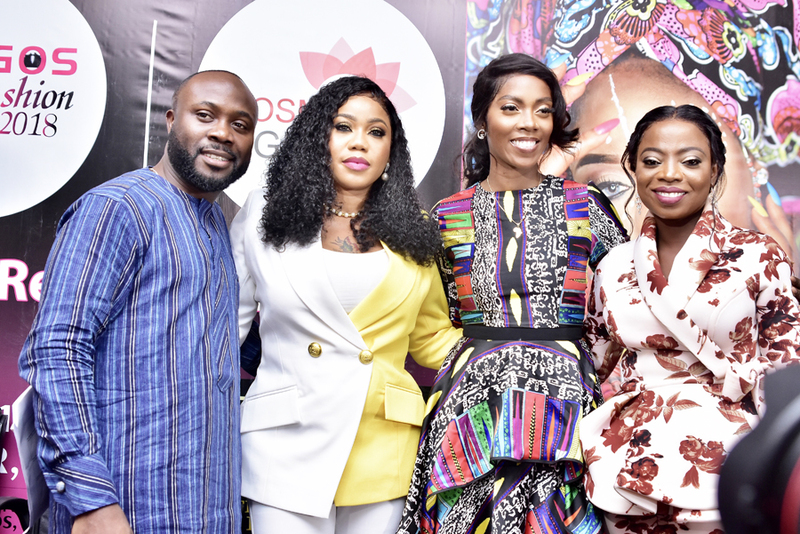 The three-day event brought together fashion and beauty enthusiasts, industry experts, designers, buyers, retailers and consumers, for an unparalleled showcase and shopping experience from the best local and international brands. The fair afforded exhibitors and visitors the chance to meet and network with other industry professionals, explore export opportunities, direct investment prospects, and view and buy the latest collections and innovations in the ready-to-wear garment industry. Speakers at the Master Class were Tiwa Savage, Toyin Lawani, Funmi Ajila, Lanre DaSilva Ajayi, Latasha Ngwube, Seyi Tinubu, Laura Ikeji, Laila St Matthew-Daniels, Sound Sultan, Caroline Danjuma, Funke Bucknor Obruthe and the Host of the master class is Layole Oyatogun.